What Are The Best Apps For Organized Moms? You are here: Home / Women Empowerment / Entrepreneur Women / What Are The Best Apps For Organized Moms? I get asked a lot about how I run a household, manage 4 kids and their various needs, cook family meals, run a successful business etc. etc. Well it isn’t easy, I’m not going to sugar coat it! But in today’s digital world, we do have a lot of possibilities for help in the form of SmartPhone apps. But with so many options out there, how do you even know where to begin?? WordSwag is my top app for creating memes for my social media posts. It’s a really easy to use app that has a great range of quotes you can choose from, or write your own in a huge selection of funky fonts. PicMonkey makes it really easy for me to edit photos and pictures for use on social media, emails and other business stuff I need to create. You can quickly load a photo, crop it, add text and make changes to the image. 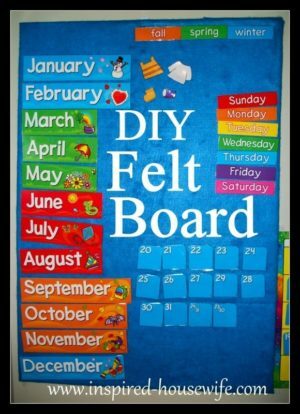 It’s also great for kids craft projects! Canva is the easiest to use graphic design software I’ve ever used! You can make professional looking digital and print items in an amazingly simple way – their range is ever growing and includes things like business cards, certificates, letter heads with logos, resumes, calendars and photo gifts. I love this company and I also love their story! PicJointer helps me to easily put multiple photos together in a collage (great for social media and websites) and they look like a professional photo editor has done them! I can also put together Facebook cover photos for my business page that look awesome. Perfect Video – Editing videos used to be a skill you would have to pay a lot of money to a professional to do for you. When I started out in social media, I was really scared of how I could ever make videos work (because I know how important they are online!) But with the Perfect Video app I’m able to really easily do all sorts to videos including adding text, music, overlays and merging various clips together. I was shocked at how easy this was to do! DropBox helps to free up space on your home laptop or PC by creating storage in the ‘cloud’ – i.e. online, instead of on your own device. I work with people all over the country (and the world!) so I need to have a way for us all to easily and safely share documents images and videos – Dropbox helps us to do that and they even have a SmartPhone app so I can keep up to date on the go. When you run your own business, it can be really easy to feel apprehensive about doing the kind of things you don’t need to worry about as en employee (like making payments and sorting out invoices!) but PayPal takes all the hassle out of it. MarcoPolo is a great way for me to stay in touch with my family, friends and business contacts – whether they’re near or far! It’s a great video conferencing and messaging app and you can even share conversations in the group video feature. CamScanner is so cool! It turns the camera on your SmartPhone into a digital scanner that you can easily use to upload documents and images straight to your device. BabyShusher – I had to add this one in as it literally saves my sanity sometimes! It’s a white noise app that helps bub to sleep and cancel out the other background noise that is always present in my house!! Kik is another chat app that I like to use.. but it doesn’t really fit into the family or business app category! It’s a way for me and my husband to communicate with each other privately, without the kids being able to see what we say (and send!) to each other. I think a certain amount of privacy is super important in a relationship! I have so many more but these are my top ones. What else do you find useful for your home, business and life? What are the best apps for organized moms (and dads!) out there that you can share?